These take only a few minutes to make and bake. They disappear just as quickly. What smells better than fresh bread baking? 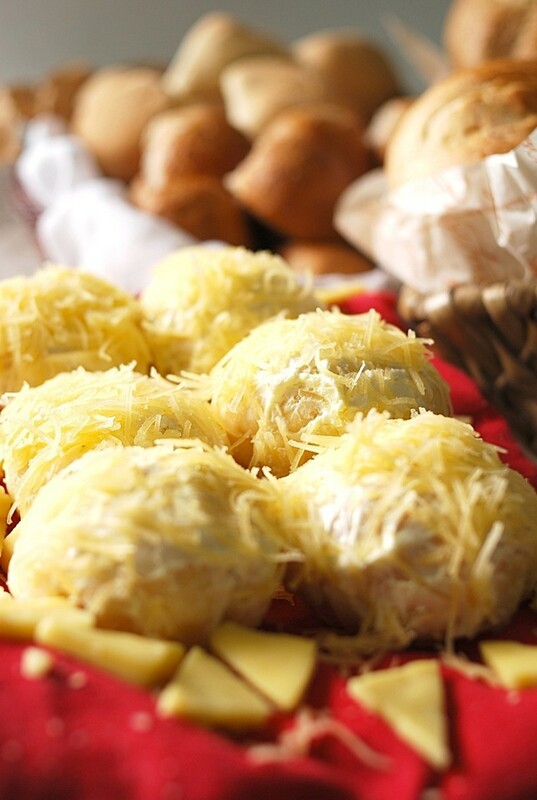 That enticing aroma reminds me of my childhood, driving past the local bakery, enveloped in the sweet smell of fresh baked bread and pastries. It's easy to capture a moment like this with a quick assist from the refrigerated biscuits from the grocery store. Ready made refrigerated biscuits were a staple that topped off a family meal when I was a child. These came packaged in a cardboard roll with a blue wrapper and were economical to feed a family with three children. The outside wrapping peeled off to reveal a solid black line on the inner cardboard. We would draw straws to see who would be allowed to give it a good whack on the edge of the counter top. The can would pop open and burst forth its compressed dough, spilling out from the tube. We'd separate the little orbs of pastry and arrange them neatly on a cookie sheet. Into the oven they'd go and after a few minutes we'd have ready made biscuits to go with our meal. Not as good as from scratch, but much quicker. We saved them for the end of our meal, topped off with syrup or honey. 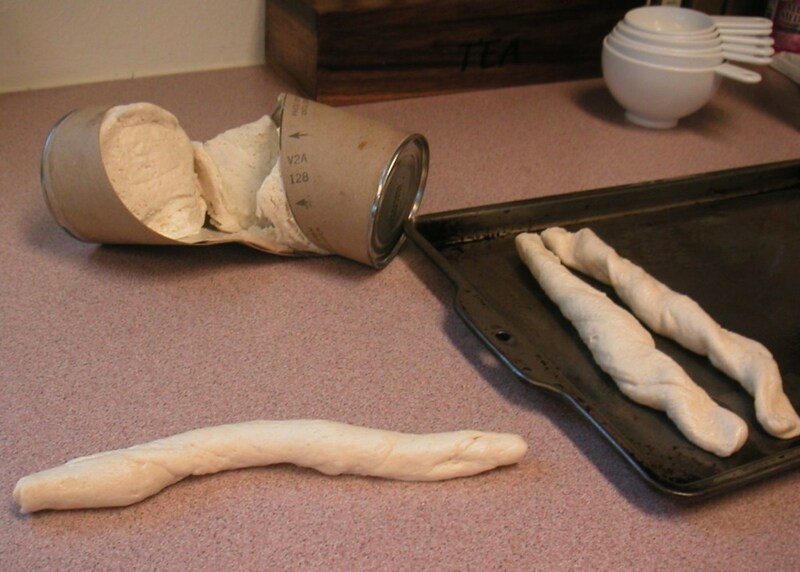 To make the bread sticks pictured here, there's a small twist involved. Before placing the raw dough on the baking sheet, it gets rolled between your palms like you would roll out a rope of clay. 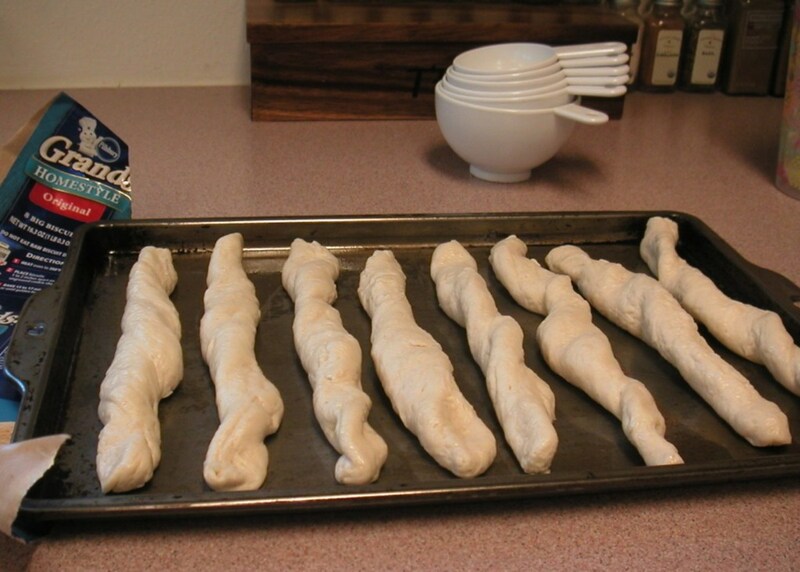 These elongated shapes formed from the dough are twisted slightly, then stretched to the width of the baking sheet. Pressing the ends of the dough to the pan helps to hold the form in place during the baking process. These bake in just a few minutes turning ordinary canned biscuits into delicious bread sticks that provide a hearty boost to an ordinary bowl of soup. They're also great with chili or pasta dishes. 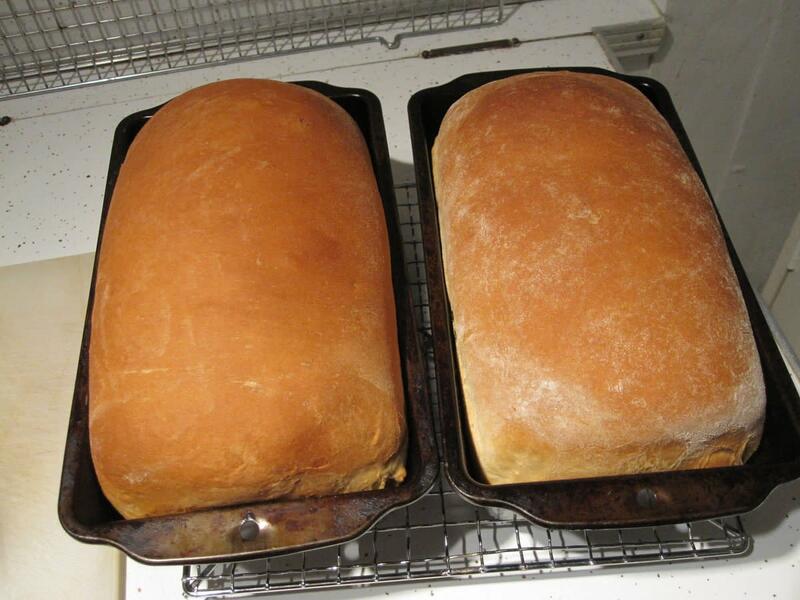 The aroma of baking bread is an enticing smell that brings family members or guests into your kitchen. When they spot these fluffy bread sticks rising in the oven, there will be little hesitation on coming to the dinner table. Tell the kids to set the table, these rolls will be warm and golden brown in moments. 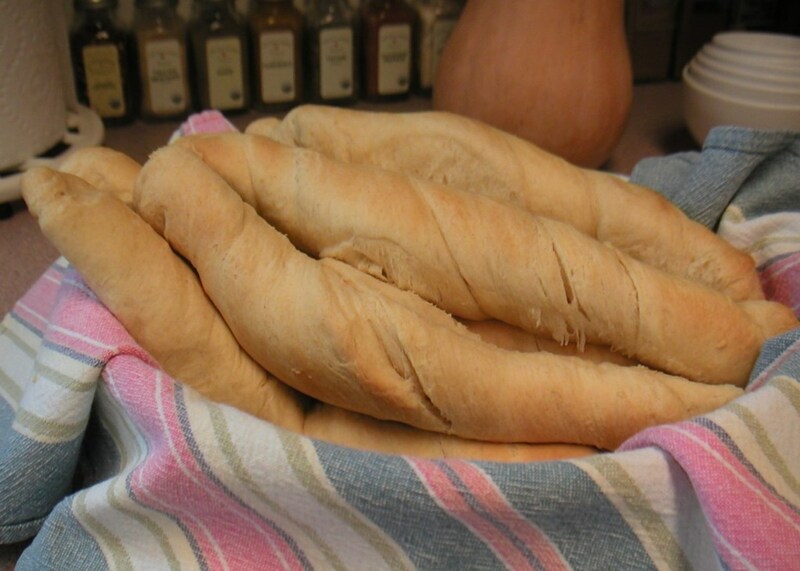 What goes better with a hot bowl of Chicken Noodle Soup or Tomato Soup than a couple of soft, warm bread sticks? 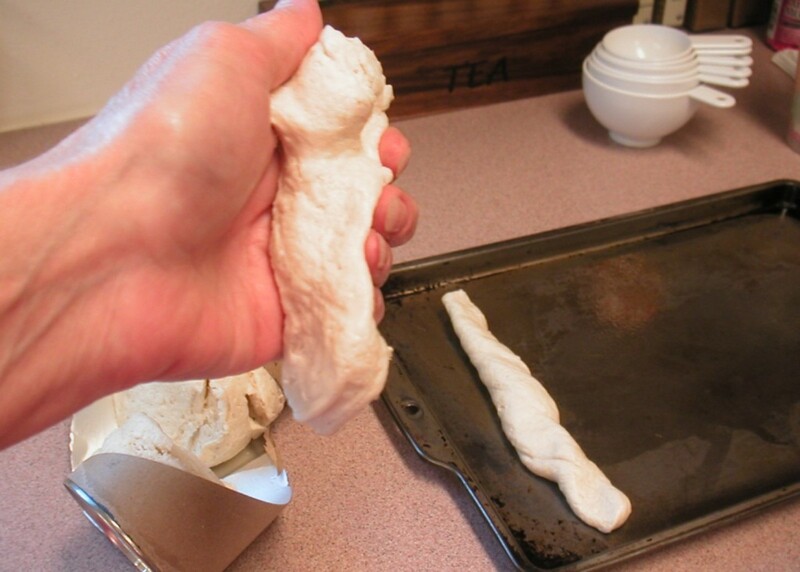 With a little help from the refrigerated biscuit makers, you'll have these magic wands of dough stretched out on a tray and ready to pop in the oven in little time. It really doesn't matter which brand you choose, whether it's the store brand or the most expensive kind, they turn out fine. Once you've baked these quick snacks, you'll discover just how simple it is to make them. And almost like magic, they disappear as quickly. Baking the breadsticks: Separate the biscuits into individual pieces and roll each piece between your palms until they form an elongated shape. 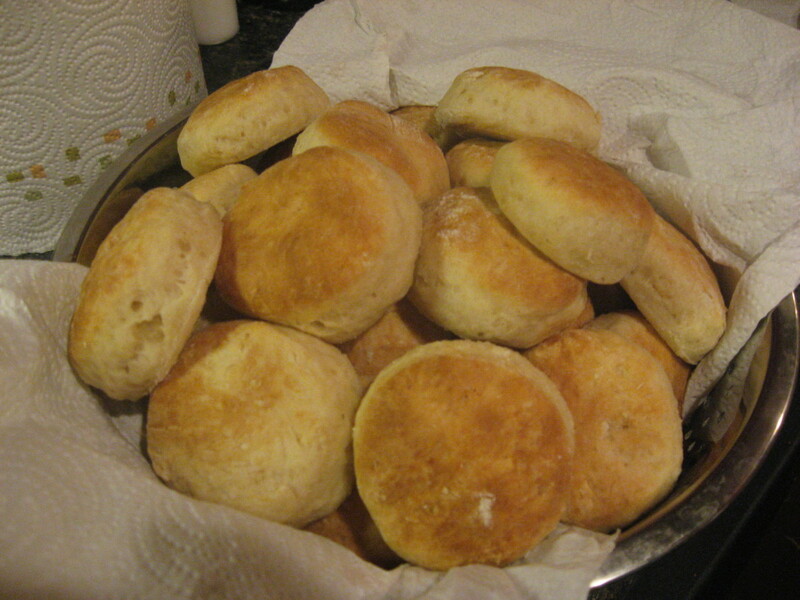 For variety, sprinkle the raw biscuits with different seasonings before baking. For soup or chili, a light coating of flaked parsley or onion salt makes them tasty. Or brush a bit of melted butter over each and then sprinkle them with sesame seeds. To make these for breakfast, sprinkle the unbaked elongated shapes with cinnamon and granulated sugar and add a variety of chopped nuts on top. The nuts can be rolled into the dough while they're being shaped. Separate the biscuits and roll between the palms to elongate. Press the ends down on the baking sheet to secure them. Preheat the oven to the recommended temperature on the package. Peel off the outside wrapper and pop open the can. Separate the biscuits and shape them into an elongated form by rolling them between your palms. They can also be rolled out on a lightly floured surface like a pastry board or a counter top. Secure the ends of the rope by pressing firmly down after placing the dough strips crosswise on a non greased cookie sheet. Sprinkle a light dusting of garlic salt or onion salt, then, brush on a light coating of melted butter. Top them off with sesame seeds, poppy seeds, Italian Seasoning or parsley flakes, if desired. Sprinkle a light dusting of garlic salt, then brush on some melted butter or use spray butter. 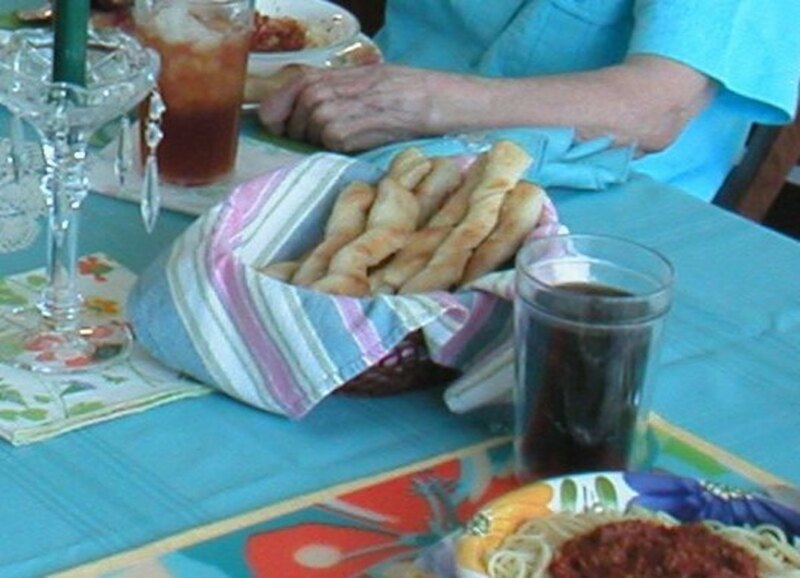 Use a spatula or kitchen tongs to move the baked breadsticks to a napkin-lined serving basket or bowl. Serve with a prepared vegetable or pasta dish. These go great with homemade chili or spaghetti. 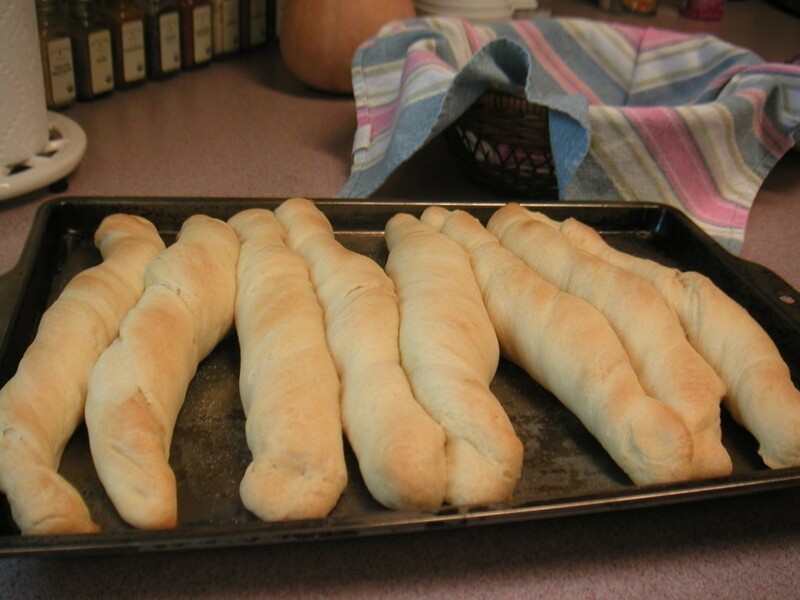 The bread sticks in the video below are another way to prepare fresh breadsticks. Those are made with ready-made self rising rolls, which have been thawed, before they're rolled out and twisted into shape. The chef demonstrates an interesting method of twisting the dough to form pretzel like shapes with little work. A little more time is needed for this type of dough to rise again after being formed into the desired shape before baking. Spice up your everyday meals with a little help from the refrigerated biscuits or self rising rolls in the dairy case. Or if you have the time, make a batch from scratch. 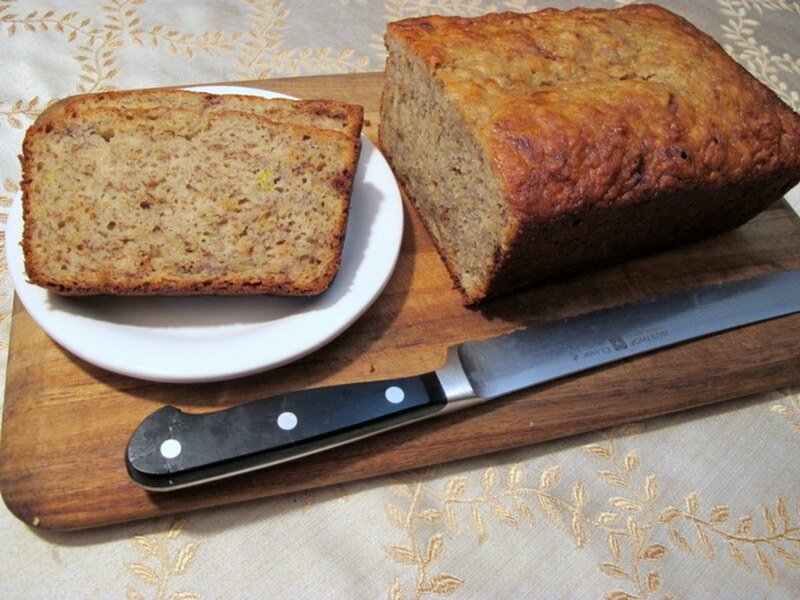 You'll love the home baked aroma that fills your kitchen every time you make them. 5 stars from 4 ratings of trying a couple of these breadsticks. 5 is Yes, please. Hello CWanamaker, I like to use canned biscuits for a variety of things, like you do. Have you tried them in sweet rolls? Cut into quarters, dipped in melted butter, then, rolled in cinnamon sugar mix before placing three or four pieces in a muffin tin that has chopped pecans in each section along with more butter. When you turn them out, voila, pecan rolls! So Easy and Tasty. I can't believe I've never thought about doing this. I've used biscuit dough to make pizzas, calzones, and even doughnuts before but for some reason the obvious breadstick never crossed my mind. Hi Lady G. I love to have a little help from the store in preparing other dishes. Sometimes I make cinnamon rolls out of the canned biscuits by dipping them in butter and sprinkling them with cinnamon sugar and pecans. I look forward to reading your recipes and learning about your uses for them. Yet another way to used those canned bisquits. So easy and really inexpensive. I must put my recipes up here soon too. Thanks for showing us how to make the breadsticks. Hello Peachpurple, The ones I've pictured here are made from canned biscuits, the kind you buy ready made. The ones in the video from YouTube are made from frozen yeast rolls that have been thawed. No added yeast is necessary. i love making own bread but never the stick bread. How much yeast required? Hello Rebeccamealey. I'm glad you came by to check out this easy method of turning regular biscuits into soup dippers. They are good with a salad for sure. Here's hoping you can put the idea to use. Thanks so much for taking time to comment. What a clever way to use canned biscuits! 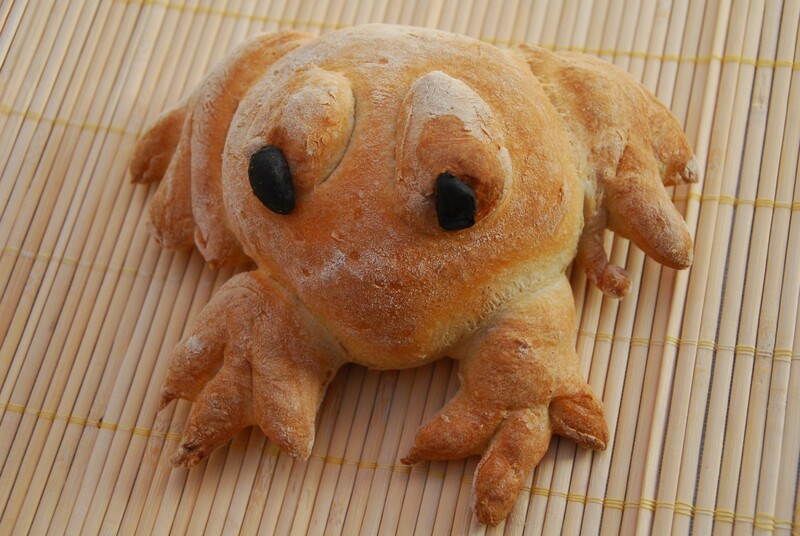 They are completely transformed into these neat bread sticks. Yes, great with soup in winter and also to warm up a salad in summer. Thanks for this idea! Hi PhoenixV. Ah yes, garlic and butter breadsticks sounds really good about now. It's dinnertime. Thanks for the visit and comment. I never really thought of this. Some easy to make breadsticks with butter and a little garlic sounds delicious. Great idea! Hi Torrilynn, Sure you can! I hope you'll give it a try. They turn out really great. Thanks so much for the votes and visit. I never knew you could make breadsticks from canned biscuits. Thanks for the hub. Very useful. Voted up. Thanks Victoria. It really does change it up a bit from regular biscuits. What a great idea! Much more interesting than the biscuits from the can. Awesome! Hello Sgbrown. Long time no see. I hope all is well with you. Glad you found this useful. Thanks for letting me know you liked the biscuit idea, Mylinda. I appreciate you stopping by. I would never have thought of using canned biscuits to make breadsticks. This is a useful idea. Hi Deb. Yep. A little help never hurts. Biscuits are versatile. Truly wonderful work with just a little help from the manufacturer! Hello Sujaya Venkatesh. Thanks for your visit and please help yourself to some breadsticks. Bravo, Frank. Hope you enjoyed your batch of breadsticks! Hello Nina64. Nice to see you. Thanks for the sweet comment. Thank you, Au fait. Nice seeing you today and thanks for the comments. Careermommy, Thanks for the kind remarks and for the pin. If you have time, please let me know how your family liked these. Hi Randomcreative. Hope your family enjoys these breadsticks. Nice of you to comment. A quick easy snack or addition to a meal. A great idea! What a great, simple idea. I'm definitely making these for my family and pinning this recipe! How simple and delicious! I can't wait to give it a try. Thanks for sharing. Hello Levertis Steele. It's nice to meet you today. Thanks so much for your visit and kind remarks. I love breadsticks and these great ideas of yours. Thanks for sharing. Thank you, Moonlake. And thanks, too, for sharing and voting. You rock. Love breadsticks and canned biscuits. Shared with followers and voted up. Hello AliciaC. Thank you. 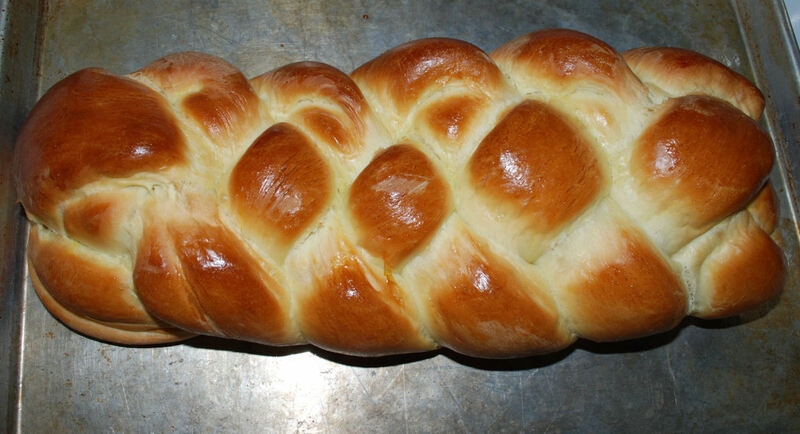 To me, any bread smells wonderful when it's baking. Sometimes I use cinnamon and sugar to turn these into breakfast sticks instead of using herbs. Garlic bread is the favorite around here, though. Thanks for coming by today. This hub is very enticing, Peg. I could smell the breadsticks as I read it! I love the thought of hot bread flavoured with herbs. What a delicious accompaniment to a meal! Aha, Frank. It is really easy to make these. Honestly. No kidding. Genna, Thanks for coming by. It really is this simple. And fun, too. Hope you'll give it a try. Hi B. Malin. Yep, my hubster loves bread, too. 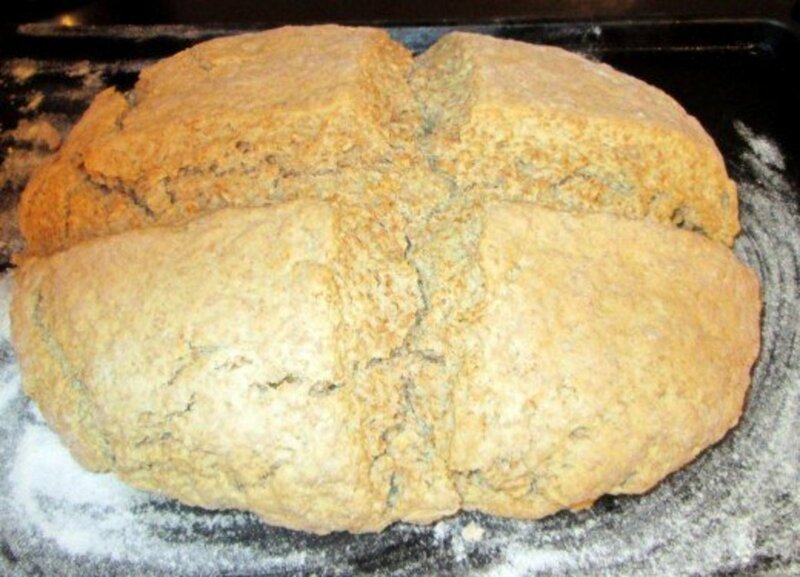 I used to make bread the old fashioned way by kneading it, letting it rise and punching it down etc. 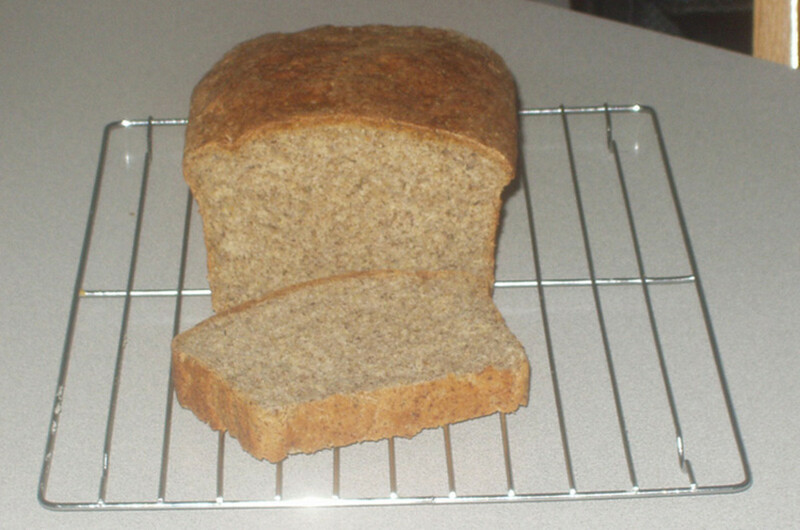 My bread machine takes most of the work out of it now, and the house smells so good for hours afterward. I hope you'll try this really easy one with the biscuits, B. It was nice of you to visit. 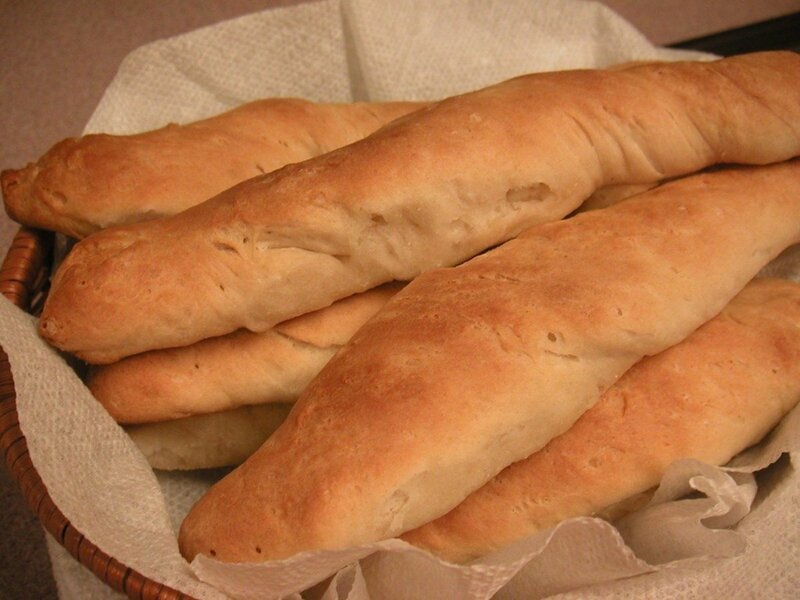 I’ve often wondered how to make these delicious bread sticks, and had no idea that it was this simple when using pre-made, self-rising dough. This is great. :-) Thank you, Peg. Making Bread can be very Romantic...that Smell...Lover Man loves bread, especially when we eat out at an Italian Restaurant. I've never made bread at home...always think of it as a fattening treat...However, after reading your Wonderful Hub...I just may make some! Hello Ms. Maria, Bread seems to be one of J's favorite things too. We used save our biscuits until the end of the meal and pour honey over them. Makes them into a wonderfully sweet desert. Hello Mck, I know you will do a great job of baking these after all that KP duty time you served. I would challenge you to a potato peeling contest but I'd likely lose. Hope your breadsticks turn out great. Good luck and thanks for the visit. Always nice to see you. I have never met a bread I didn't like but this might be a 'love connection'. Hey Ruby! I hope your breadsticks turn out great and your meals with your son are memorable. Thanks for the wonderful comment and the visit. It's so good to see you. Ms. Dora, It is fun to play with dough. Do you remember dough art? That was so much fun but you couldn't eat the finished product. Thanks for coming by. It was good to see you. Sheri, thank you so much for the pin. I like recipes that are quick and easy too. One of my fav TV programs is 30 minute meals. Hello Peachpurple. French bread is wonderful, too. I like to make that into garlic bread in the oven. Thank you for visiting and for the nice comment. Hi Flourish. Bread is a must in this family. My hubby loves these with home made soup. Nice to see you today. Hi Peg. This is so clever and so easy I might even be able to manage it. I think there is a biscuits package in the fridge right now. I now what I am having for dinner. Thanks. I can almost smell the aroma. This is so easy to do. You are so clever, i would never dream of doing this. My son is coming this weekend and we're gonna have breadsticks. Thank you Peg. Very practical. Seems fun making and I'm sure eating too. Thank you for sharing! Well Billybuc, your talents continue to amaze and astound me. What an interesting thought, that cheese breadsticks were the best selling item. Cool. Hi Faith, Thanks for stopping by to check this out. Have a blessed day! My kind of cooking...quick and easy. Great hub and I will pin it! Oh, yum! I love anything with bread, and the fact that these are so easy is a bonus. I owned a convenience store for five years, and our biggest selling item by far was hot cheese breadsticks made right there at the store. Yummy! Now you're talking!!! I love bread and bread sticks, and I believe I can handle these, no problem. Thank you for sharing. Right back at ya Peg. Come right over for some down home Texas chili and fresh baked bread sticks, I wish! Hello my friend Ms. Snakeslane. Happy new year and it is so great to see you on line today. Missed you. Come on over, the chili is nearly done. Hello Perspycacious. Wow. That is a lot of grandchildren. You may have to make more than one batch. Nice to see you today. Nice Peg! I'll be right over for supper! All the 17 grandchildren can devour these and thank you for suggesting them to Grammy and Grampa.